Michael J. Ho teaches in the Finance area at the Darden Graduate School of Business at the University of Virginia. His research interests have included mergers and acquisitions, initial public offerings, equity research analysts behavior, investment bank reputations and underwriter choice in initial public offerings. Dr. Ho is a founder and managing director of Praxis Partners LLC, a financial advisory firm focused on providing mergers and acquisitions advisory services to middle-market companies and custom executive education programs for financial institutions. Prior to co-founding Praxis Partners, he was a principal in Mergers & Acquisitions and Director of Asia-Pacific Investment Banking at Robertson Stephens & Company, a leading financial advisor to emerging growth companies in the high-technology, health care and consumer products and specialty retailing industries. Before joining Robertson Stephens, he was in the mergers and acquisitions department at the First Boston Corporation (now Credit Suisse) under the direction of Bruce Wasserstein and Joe Perella. Dr. Ho has developed and delivered custom education programs in the area of corporate finance, valuation, mergers and acquisitions, and corporate strategy. Past education clients include Standard Chartered Bank, State Bank of India, Bank of America, NationsBank, Wachovia, Robertson Stephens, Montgomery, SNL Financial, GE Nuclear and EMC. Dr. Ho received his B.S. in Materials Science and Engineering from the Massachusetts Institute of Technology (M.I.T. ), his MBA in Finance from the Sloan School of Management at M.I.T. and his Ph.D. in Finance from the Darden Graduate School of Business at the University of Virginia. Dr. Ho has also served as a Professor of Finance at Babson College in Wellesley, Massachusetts and Butler University in Indianapolis, Indiana, teaching graduate and undergraduate courses in mergers and acquisitions, financial statement analysis, enterprise valuation, and investment banking. 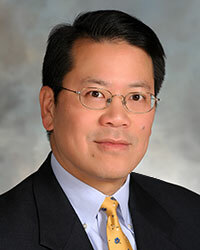 Dr. Ho is currently a director of the Telamon Corporation and FibroChem, LLC.